Are you a recent grad just starting your practice? Been in practice for years, but finally ready to take the leap into the digital world? 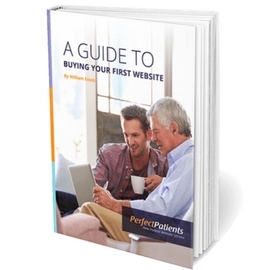 No matter the reason, the time has come to buy your first practice website. Your ideal patient, your competition, and much more. An unconfirmed update to Google’s algorithm shook the search engine optimization (SEO) world last month. Large fluctuations in website traffic for many websites indicated some kind of change. While there is always speculation around what Google is targeting, the update seems to look at link quality aspects of the overall algorithm. Still, it further emphasizes the importance of sticking to “Google-approved” link building strategies. Link building is far from “dead.” Getting a relevant, locally-based backlink can have a significant impact on your chiropractic website’s Google rankings. But it’s important to be selective in the links that you pursue. 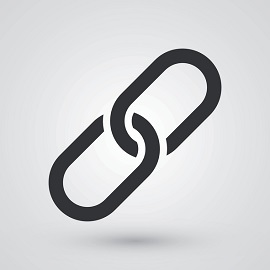 Link building is a manual process. And it’s not supposed to be easy. Much of it involves some simple outreach. Google’s algorithms are smart. In fact, they can detect who is the best chiropractor within a given radius. April Fools’ joke? Kind of. Obviously, Google can’t directly quantify the level of service a chiropractor provides. However, it can make assumptions. For instance, there’s a good chance a chiropractor with a Google review rating of 4.8 provides a higher level of service than a chiropractor with a Google review rating of 2.4. That being said, there’s one significant factor that many people ignore. And that is – proximity. 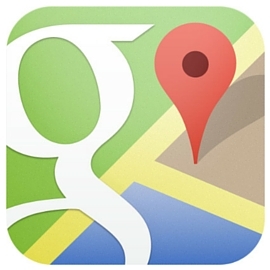 Arguably the most important local ranking factor is the distance from the searcher. What this means is that a chiropractor with a stellar online reputation could rank lower than a chiropractor with no website, incomplete contact information, and a subpar online reputation. Say that a prospective patient searches for a chiropractor in their area, and the closest one is within walking distance of their address. The next closest chiropractor is 10 miles away. Regardless of their online authority, the closer chiropractor could still rank first. That being said, a sound online reputation is essential to local SEO. An optimized website, a complete Google listing, and a good portfolio of reviews will likely improve your position in local search. The point is, if you seem to be unjustly ranking below an “inferior” competitor, proximity could be the culprit. « New websites launched | Davis Chiropractic Center and more!